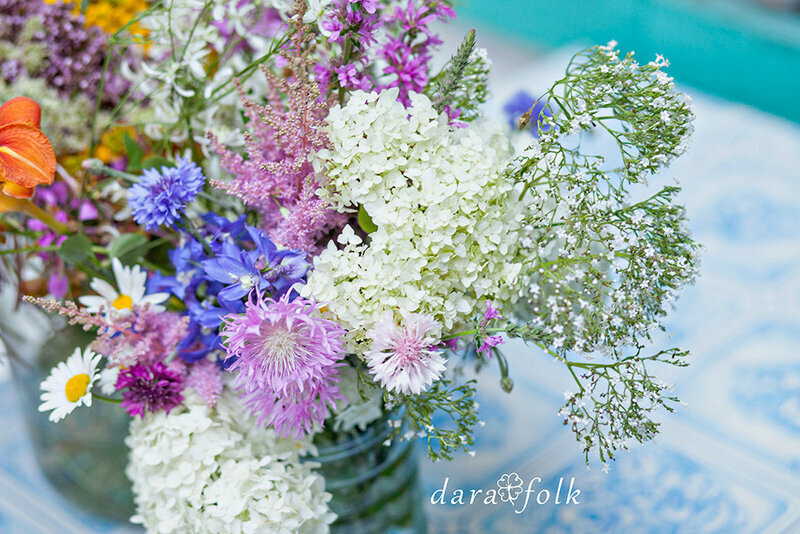 Home / DaraFolk News • Gardening / A summer bouquet of garden flowers. 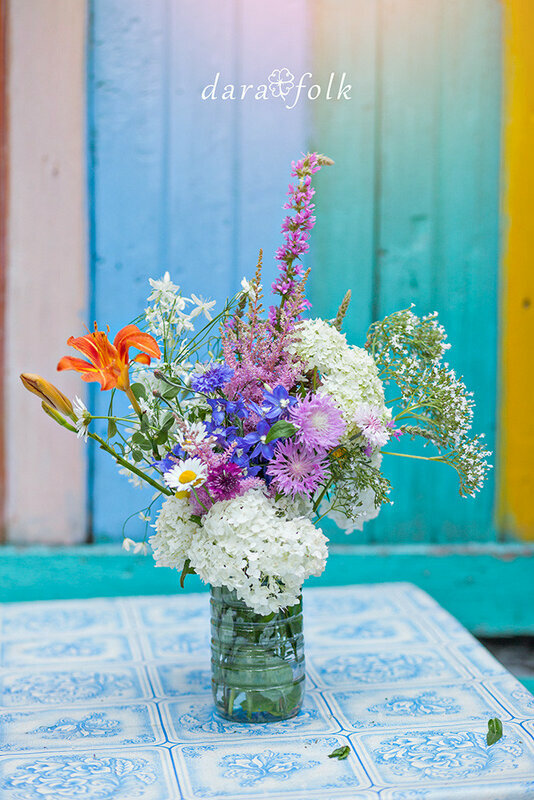 A summer bouquet of garden flowers. 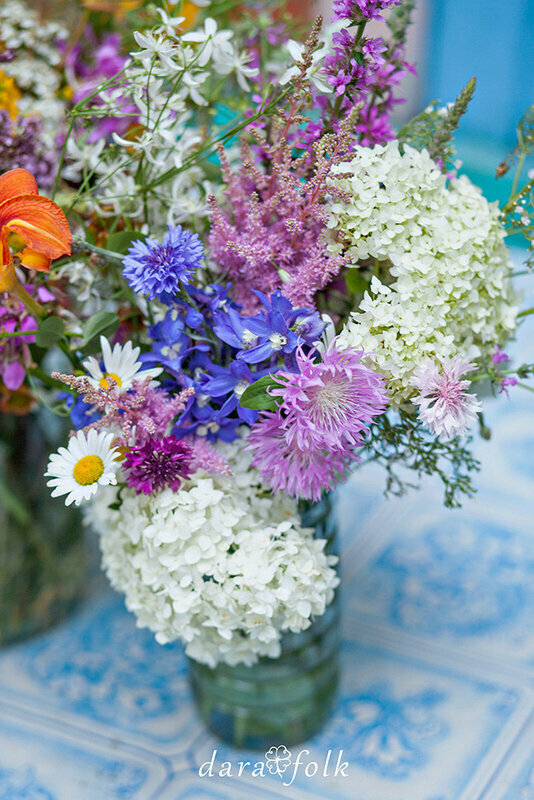 A summer bouquet of garden flowers - a bright, fragrant mix of hydrangeas, cornflowers and clematis. Summer colours of flowerage are so pert and vivid that you wish to eat all of them or just fall on green and lie there for a long, long time… But the ground turns out to be moist after the rains, so you will sop wet. Meanwhile, the fragrance, enfolding the garden, is vertiginous - subtle aroma of cornflowers, gorgeous southern scent of clematis. I adore flowers. I just can’t help looking at them and examine the mechanism of stamens and pistils. How diversified our world is! 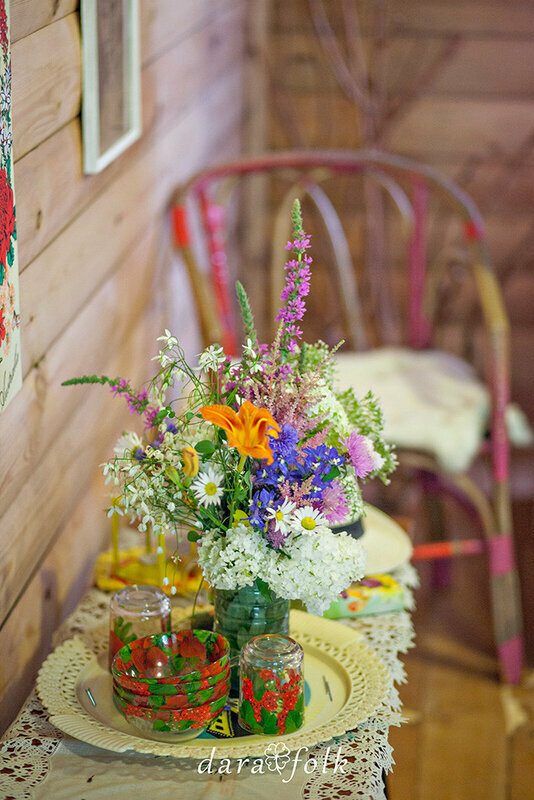 How many colours the nature gives us in the garden flowers! In childhood we made ‘Secrets’ - you have to dig a small pit and put there your valuable things,such as baubles, beads and small hand-written notes. Then you close these treasures with a piece of glass. I had a feeling that it was a pouch full of diamonds that I buried. And for a long time you keep this secret. So, why have I told you about all this? I mean that photos are these ‘secrets’ too. 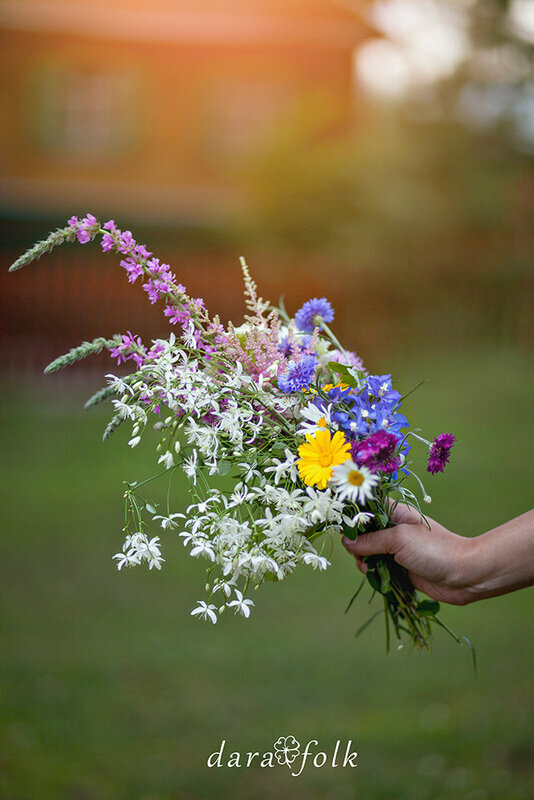 You make a snap of flowers and preserve it. And then, looking at it, you recollect feelings, emotions, scents… You see that a picture can’t reproduce scents and that is the secret. It is only you and no one else who remember it. 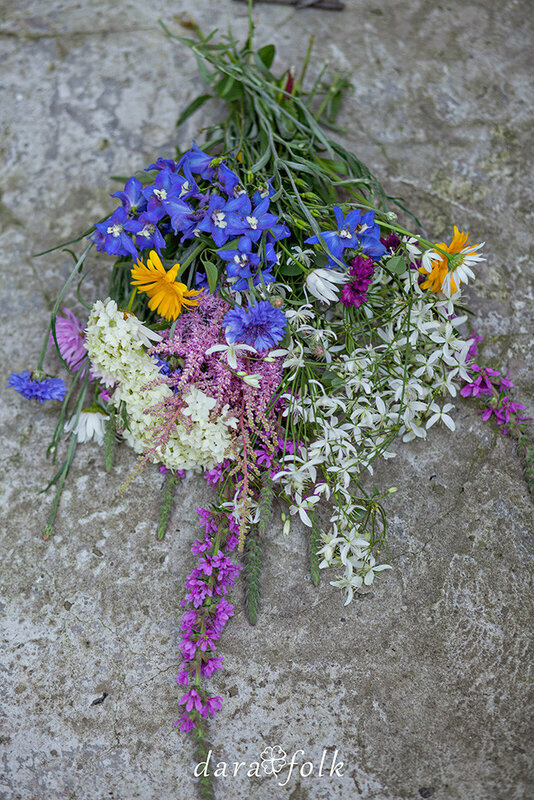 So here it is - a secret bouquet - cornflowers, hydrangeas, clematis, astilbes, delphiniums, valerian. 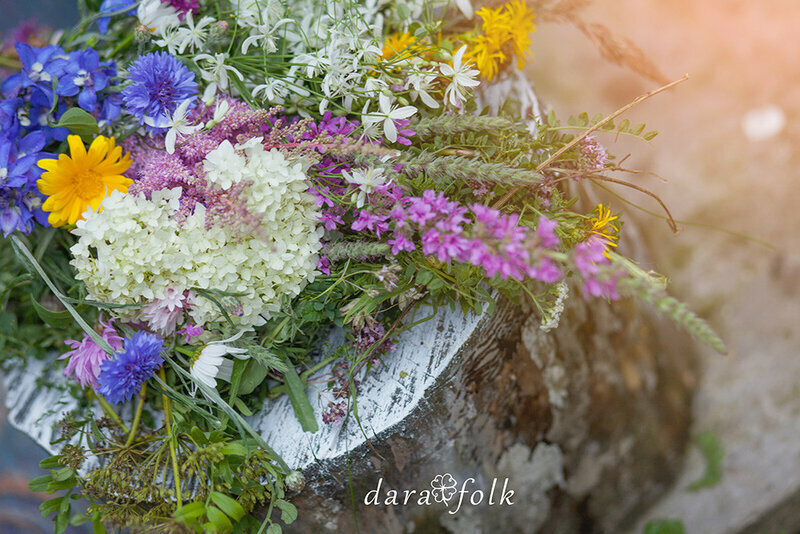 DaraFolkStyle – with warm regards!